Heavy leaf loads. Pine needles and pollen. Heavy rain storms. E-Z has a hardworking gutter guard for that. If there was only one type of gutter, and every application had similar trees, leaves and pollen, then we’d only need one kind of gutter guard. But 30+ years in the gutter guard design and manufacturing business have shown us there are a lot of variables—in leaf and debris loads, in rain, snow and ice loads, as well as subtle variations in gutter designs. And, the knowledge acquired over these three decades helps put MIDWEST ENTERPRISES at the top of their field, and with distribution in all 50 states, well-positioned for continued growth for years to come. E-Z has engineered and re-engineered our gutter guard designs until they really did become the hardest working in the business. There is no other rain gutter protection designed like E-Z Gutter Guards. Subtle tweaks to the leading edges mean higher performance under heavy rain and wind. Engineered-in channels and bends add strength, help water drop through faster, and help keep the guards tightly in place, doing their jobs day and night, through the toughest of environments. Midwest Enterprises is a family-run business, centrally located in Missouri, with the knowledge and experience to produce high quality, common sense products that are both easily installed and profitable. 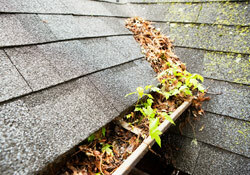 Gutter installers nationwide have recognized this for over 30 years. Our business remains successful because of our commitment to provide quality and service to all our customers, both large and small. With over 25 different gutter guards in their portfolio, dozens of patents and over 250 years combined experience in the gutter business, you might think that things might slow down over at Midwest Enterprises—the home of E-Z Gutter Guards. “Not so,” says Jim Ealer, Sr., the patriarch and driving force behind all the product development. Ealer is constantly testing new gutter guard designs, and each one is destined to be a game-changer. R&D has come a long way since the early 80’s when Jim Sr. started. Now everything is designed and created with computerized design, allowing all the subtle tweaks, turns and curves that E-Z Gutter Guards are known for. Before going into production, a new product may go through as many as 10 iterations, and each prototype is installed on test gutters so the Ealers can see just how rainwater will act upon hitting the various surfaces. There is not just one type of gutter guard at E-Z. Midwest Enterprises started with E-Z-Lock and their original screen is still the most versatile. It’s made of expanded galvanized steel that is powder-coated, and can be installed in two different ways. The designers at E-Z understand that some installers want a gutter guard that screws into the front of the gutter and installs under the shingles. Others want a guard that ‘snaps’ in for quick and easy installation and removal — all without disturbing the shingles. For locations where salt spray and extreme environments cause other products to corrode, Powder-Coated Aluminum can handle the heaviest debris loads and tough weather. E-Z Painted Aluminum Guards come as solid or louvered, and provide the best protection from the elements. Jim Sr. is quick to point out that it is a family affair at Midwest Enterprises; management divisions are headed by each of his 5 children: Jim Jr., Perry, Doug, Mike and Jane. The knowledge acquired by the Ealer family while growing up in the industry helps put MIDWEST ENTERPRISES at the top of their field.